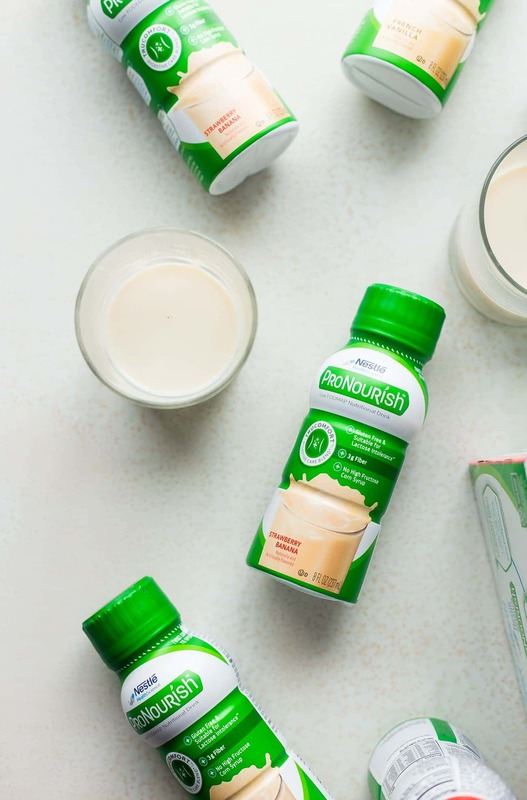 Just wanted you give ya a heads up that this nutrition-packed post is sponsored by my friends over at ProNourish! 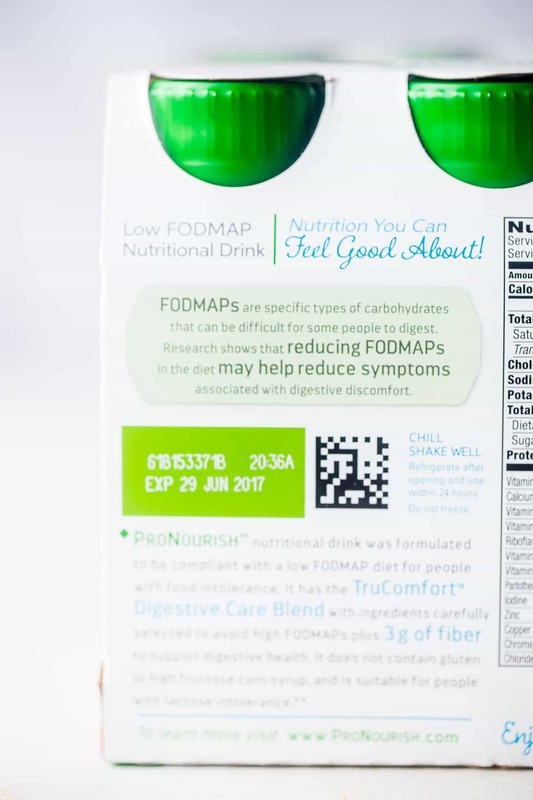 I’ll be telling you about what the low FODMAP diet is, and a delicious, nutritious new nutritional drink that is perfect for anyone on it! We’re taking a break from ALL of the holiday eats to talk about NUTRITION. You guys all know Mr. FFF. Well, he has struggled with digestive issues BASICALLY his whole life. When we got married (4 years ago) I begged him to try an elimination diet just to SEE if just MAYBE it was just a matter of dietary choices. Of course, there was RESITANCE. As in 4 YEARS OF IT. Wouldn’t budge. Wouldn’t try it. Just kept feeling like a miserable, sad-stomached human. Until finally, the magical moment happened when he decided to LISTEN to his wife and TRY IT. We learned about the low FODMAP diet, and decided it sounded promising. You’re looking at me with confused eyes going “what is a FODMAP?” Well, they’re a specific kind of carb that can be difficult for some people to digest, so reducing them may help take away some of the icky symptoms associated with tummy sadness. But the words are long and basically impossible to pronounce. I’ll spare you. BUTBUTBUT, YOU GUYS, listening to me? THE RIGHT MOVE <– I mean, when is not? JUST KIDDING. Because, it truly WAS what he was eating, and these low FODMAP shenanigans that he’s trying? IT WORKED. He felt like a normal human again! BUT, the only thing that’s still been hard is “work food.” He doesn’t have time to make meals to take to work and make sure that they are jiving with the low FODMAP diet. And, well, I just don’t have time to make food for him after I already made 12493 things that day that may not be TOTALLY cool to his diet. I mean, the low FODMAP diet doesn’t allow garlic and onions. I CAN’T MAKE FOOD WITHOUT THOSE. Which is why I am SUPER pumped about ProNourish! 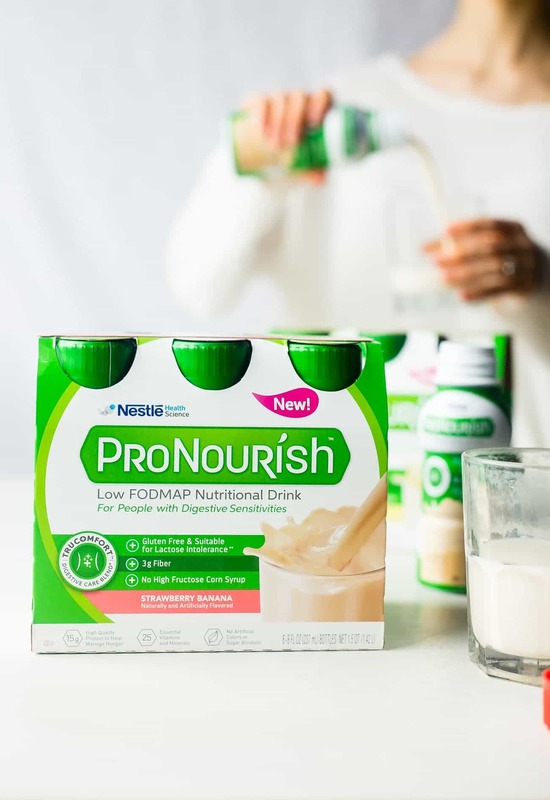 It’s a Low FODMAP nutritional drink for people with sensitive tummies that does not contain gluten, lactose or high fructose corn syrup. It even has 15g of protein, 25 essential vitamins and minerals and has no artificial colors or sugar alcohols. EVERYTHING that Mr. FFF can consume safely without stomach DEATH. And, in a portable, perfect-for-work package that he can QUICKLY drink on his 30 second break. <– Not lying. Nurses work HARD yo’. Anyway. ProNourish has been a game changer for both of us. No more stress of making food that won’t hurt his tummy. Just easy, drinkable yumminess that keeps his stomach in happiness. Many of you may not be familiar with the low FODMAP diet but I am going to HIGHLY encourage you to look into it, if you’ve experienced any general not-so-goodness in the digestive area department. 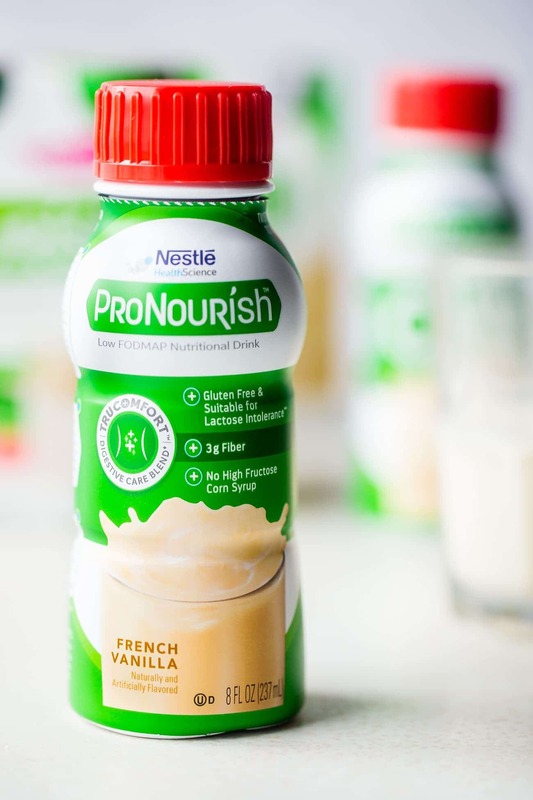 And, now, you know the solution: pick yo’self up some ProNourish drinks! THIS POST IS SPONSORED BY MY FRIENDS AT PRONOURISH. THANK YOU FOR ALLOWING ME TO CONTINUE CREATING GREAT CONTENT FOR YOU BY SUPPORTING PARTNERSHIPS WITH SUPER-FAB BRANDS THAT FOOD FAITH FITNESS LOVES TO WORK WITH! AS ALWAYS, OPINIONS REMAIN 100% MY OWN! I KNOW. My husband was sad at first too, but now he is so used to it! But I am SO glad you are feeling amazing now! Yes! Over the last couple years I had figured out all the food my tummy didn’t like. Then a few months ago I picked up a book on fodmaps and it was like, ‘ Hey! All the high fodmap food is what upsets me!’ Nice to put a name and explanation to the stuff I had figured out for myself. So much nicer eating low fodmaps. And I’m totally used to no onion or garlic now. Only downside is that i have become uber sensitive to the smell of garlic on people! Gag! I’m like, get away!!! My poor kids and hubby. They better not come anywhere near me if they have even a hint of garlic on them.